We are in the throws of completing a website refresh for a client. As part of our process we need to comparatively evaluate the current site to the IA we have created for the new site. We will match on a page by page basis the old site with our current work. Ultimately this will ensure we don't miss anything. As you can imagine, having a single document that itemizes every single page would be incredibly useful. Enter Adobe Acrobat. 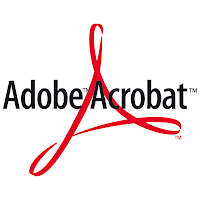 After doing a little digging online, I discovered a great feature within Acrobat that will crawl an entire website, and convert every single page to a PDF. In Acrobat Pro 9 or higher, click 'File' then 'Create PDF from Web page'. This will bring up a dialog box. Enter the URL of the site you want to convert, and click the globe icon next to 'Capture Multiple Levels'. Click the 'Get Entire Site' check box, click ok, and away you go. Keep in mind a large site will take several hours to convert. The sites we are working on are about 300 pages total, and they have been converting for several hours already. So there you have it! How to Hide from Google?